Manufacturer of a wide range of products which include comb binding machines, cb-200e comb binding machine, cb-230 comb binding machine, cb-240 comb binding machine, cb-240e comb binding machine and cb-120 comb binding machines. 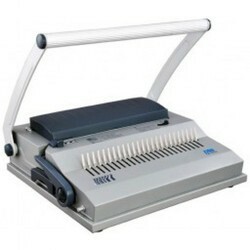 Our organization provides an array of Comb Binding Machines at reasonable prices in the domestic market. These machines are featured with durability, sturdy construction and optimum functionality. 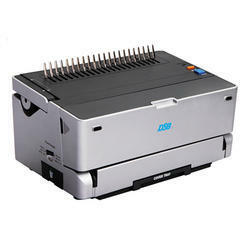 We are the prominent supplier of CB-200e Comb Binding Machine, which is highly regarded for being operated by the means of electricity and eliminating the hassle of manual work. The offered machines are meant to increase the productivity and provide excellent binding solutions for offices and printing press. Our product range has earned us a decorated clientele across the globe. 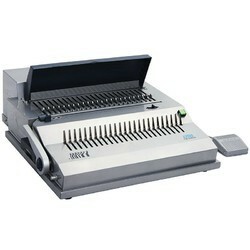 We have earned a sterling reputation in the industry for supplying CB-230 Comb Binding Machine to a wide clientele. The products are compact in size and can be operated with the help of electricity. They are highly regarded for eliminating manual work and increasing the productivity. The offered binding machines are made in a sophisticated manufacturing facility and tested extensively for assurance of quality as well. 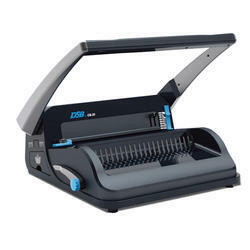 We are a trusted name in the industry for offering CB-240 Comb Binding Machine. The offered products have earned us a huge clientele shining with decorated names. These are made in compliance with the norms of the international standards and prevailing market trends for meeting with all the requirements of our revered patrons. The binding machines can be operated manually and have remarkable punching ability. 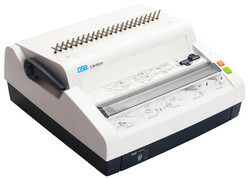 We are among the celebrated names in the industry for offering CB-240E Comb Binding Machine. The products have earned us huge appreciations for being robust in housing and resistant to wear and tear. These are operated by the means of electricity and decreases the down time of work considerably. Offered binding machines are suitable for heavy-duty performance and used extensively at printing press and offices. 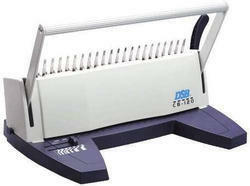 An array of CB-120 Comb Binding Machines is supplied by our firm to cater the requirements of our clients. Due to this, these products are widely used in different industries for various applications. We are engaged in offering CB-240e Comb Binding Machines, which are highly regarded for being available in various specifications for fulfilling all the requirements of the customers. They have a remarkable punching and binding ability as designed for increasing the productivity of work. Further, we are well equipped for handling bulk orders and are prompt with deliveries. 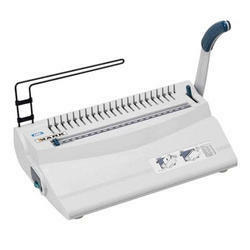 A gamut of CB-150e Comb Binding Machines is provided by our organization, which is set powered by an electric motor. These CE certified products are featured with corrosion resistance, easy usage and low maintenance. 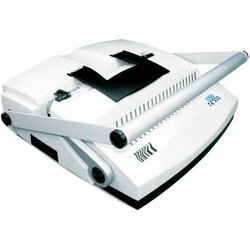 We have set a benchmark in the industry for offering CB-20 Manual Comb Binding Machine, which is operated manually and is remarkable in punching a large number of pages at a time. They are made from superior grade material, sourced from a reliable vendor base and checked extensively for the assurance of quality. Being light in weight, these are portable. We are a trusted name in the industry for trading Baby Giant Comb Binding Machine, which is compact in size and light in weight. These are made from superior grade material and tested extensively for assurance of quality by our diligent team of professionals. The offered binding machines are suitable for heavy duty work and have remarkable binding and punching capabilities. 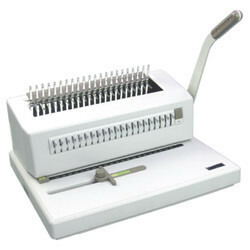 We are among the distinguished manes among the industry for offering Punching Comb Binding Machines. These machines have earned us a huge clientele across the globe and are highly regarded for being exceptional in strength. The offered products require less maintenance and are ideal for heavy-duty work. Looking for Comb Binding Machines ?